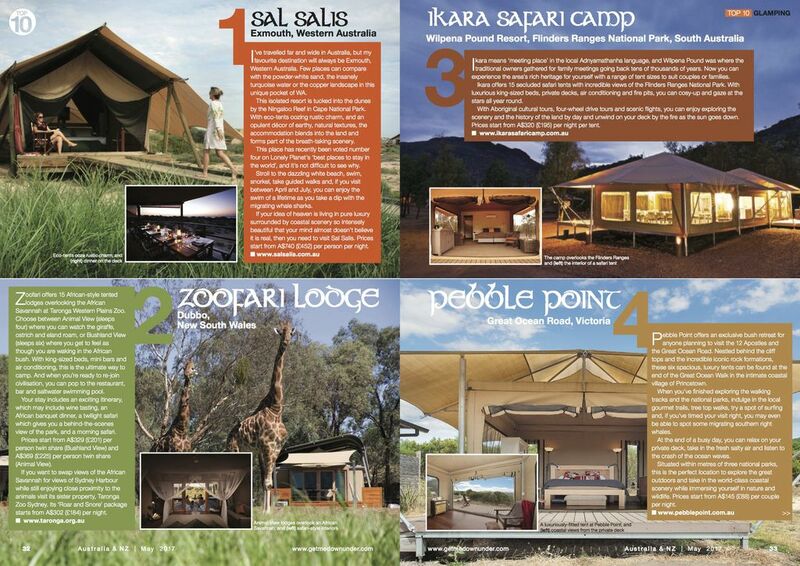 UK's Australia and New Zealand Magazine has ranked Ikara Safari Camp as the #3 'glamping' spot in Australia in their latest edition. You can see more at www.getmedownunder.com which we think is a bonza web address! Ikara Safari Camp prices start from $320 p/night for two people with breakfast. Specials rates for multiple night stays are available on our website. 4WD tourws escorted by Aboriginal guides start from $189 per person, Aboriginal Cultural walking tours start from $45 per person.